11/15/16 – Sun Multisport Events has announced that the 2017 Cranberry Trifest olympic distance race will host the 2017 USAT Northeast Age Group, Club, Aquabike and (pending approval) Paratriathlon regional championship races. Cranberry Trifest is a 2-day multisport festival featuring a sprint distance triathlon, splash & dash and youth-oriented duathlon on Saturday, August 19, 2017 and the olympic distance triathlon and aquabike on Sunday, August 20, 2017. Cranberry Trifest is based at the Ted Williams Camp in Lakeville, MA about 40 miles from both Boston, MA and Providence, RI. Consolidating four of the region’s championship races at one event is an unprecedented move by the USAT Northeast Council and designed to increase awareness for the region’s championship races and increase participation by it’s members. Athletes will have the option to compete in either the Age Group or Aquabike categories while physically challenged athletes will go head-to-head in the Paratriathlon division (USAT approval pending). 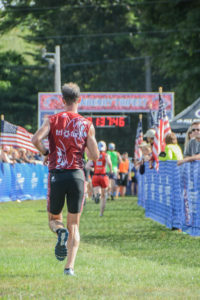 Athletes racing the Cranberry olympic that are also members of a USAT sanctioned club enjoy the dual benefit of having their performance in the triathlon or aquabike contribute points for their team in the Club Championship competition. A prize purse of $1,000 will be distributed to the top 3 teams in the Club Championship. Cranberry Trifest is one of the longest running and largest multisport weekends in the northeast. Now in it’s 16th year, close to 1,500 athletes of all ages and abilities are expected to race during the weekend. 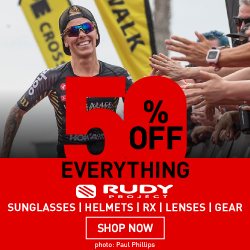 Cranberry Trifest is produced by Sun Multisport Events which earned national recognition in January 2014 when it was awarded “Best Race Series” in the Triathlete’s Choice Awards administered by Triathlon Business International. “We are honored to have been selected by the USAT Northeast Council to host such a great line-up of regional championship races. It promises to be a special weekend of racing”, says Mark Walter, President and USAT Certified Race Director at Sun Multisport Events. Cranberry Trifest is part of the Sun Multisport Events line-up of multisport and trail running events that also includes the Patriot Half, one of the most popular half distance triathlons in the region (general entry to the 2017 Patriot on June 17th is already sold out) and the TRI-MANIA Summit & Expo, a unique event designed to prepare endurance athletes for the start of a new season with educational seminars, hands-on clinics, competitive events and vendor expo. Visit the Cranberry Trifest page of the Sun Multisport Events website for more information.